If last weekend’s federal elections demonstrated anything, it was that much of the Iraqi population is done with foreign intervention. The frontrunner in the national elections, Shiite cleric Muqtada al-Sadr — who long has decried both Iranian and U.S. influence — described his party’s victory as “an achievement for the Iraqi people and its national entitlement,” just as scores have taken up a stance over Tehran’s latest efforts to maintain leverage. The arrival of Iran’s prominent Major General Qasem Soleimani to Baghdad last Saturday subsequently has been met with hundreds taking to the streets in opposition of Iran’s “destabilizing” maneuvers in Iraq, advocating that the neighboring country should instead channel its resources into “liberating” the occupied Palestinian territories. Soleimani, who oversees Iran’s elite Revolutionary Guards, is reported to be deal-making desperately to form alliances with other major Iraqi parties to ensure Tehran’s interests are upheld and to counter the influence of Sadr’s Sayirun party — a mishmash of Shiites, secularists, technocrats and communists — which has taken a surprise sweep, according to preliminary electoral results. Tehran’s desired pick for prime minister, Hadi Al-Amiri, leader of the Tehran-supported Badr paramilitary unit, so far has finished second in the election-counting, while the U.S.-favored reigning prime minister, Haider al-Abadi, has come in third. Sadr has signaled that he will not cower to forming an alliance with Amiri, but has expressed openness to working with Abadi. But despite Sadr’s apparent victory on the outset, his bloc still could be hindered from forming the next government if Soleimani is successful in amassing support from other parties in the coming days. Iranian officials, prior to the May 12 elections, announced that they would not allow Sadr’s Sayirun party to command Iraq. Sadr — who once directed a bloody insurgency against American soldiers following the 2003 invasion before instructing his army to lay down arms — did not run for a seat himself, thus cannot become prime minister. Yet given that his party is assumed to have taken the most seats, he is in a position to nominate the next leader and determine the political bill for the next four years. But it all hinges on how successful Soleimani is in his current Baghdad deal-making. While maintaining relations with Iran’s Shiite religious leadership, Sadr has taken significant steps to distance himself further from Iran militarily in the election lead-up — promoting a nationalist agenda and aligning himself with traditional combatant cleric, Ammar al-Hakim, who too has moved away from Iranian influence in recent times. 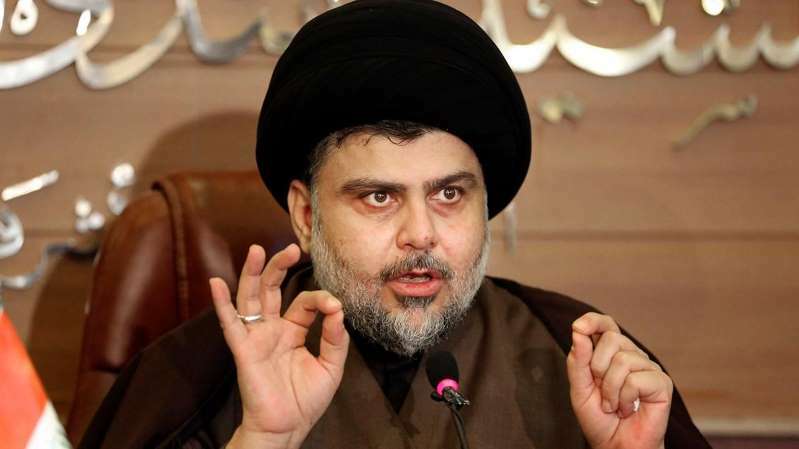 Sadr staunchly has rejected Iran’s continued backing of Shiite militias across Iraq, known as the Popular Mobilization Forces (PMF), which came into being initially to fight the sudden onslaught of ISIS in 2014. Sadr has cautioned that the militias — which essentially control Iraq’s Interior Ministry and large territorial swaths of the country — should be dissolved into Iraq’s national security forces, thus limiting Tehran’s direct control. Official discussions regarding the establishment of a governing coalition will begin after the proclamation of the final election results, likely to take place this week.